During your first appointment at Feit and Jonas Dental a number of questions may arise regarding your treatment at our practice. 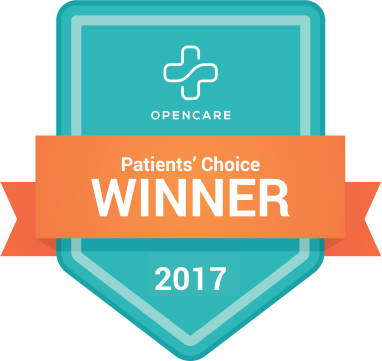 We believe its best to provide our patients with the answers to their questions in order to make an informed decision about treatment options recommended for their specific conditions. Read some of our more frequently asked questions below and call us at 201-569-4535 with any question you may have that is not here. Q- How often should I have a dental exam and cleaning? A- At least twice a year. However, depending on your situation and oral health, it may be recommended that you have exams and cleanings more frequently. Regular exams and cleanings are essential in preventing dental problems and maintaining the health of your teeth and gums. Also, potential issues can be discovered at an earlier stage preventing larger issues. At your exam and cleaning visit your teeth are checked for cavities, and other areas are checked as well. This is why we say "It's not just a cleaning." We review any changes in your medical history, review necessary digital xrays, screen for oral cancer, evaluate your gums for health, evaluate your teeth for cavities, examine the conditions of existing fillings and restorations, remove tarter and calculus and plaque. We also polish your teeth and make oral hygiene recommendations. As you see, a good dental exam and cleaning involves quite a bit more than just checking for cavities and polishing your teeth. We are committed to providing you with the best possible care, and to do so will require regular check-ups and cleanings. Plan 45 min to 1 hour for this thorough appointment. Our hygienists do a great job of maintaining their schedule--so we ask that you are on time and please call if your running late. Your hygiene appointment is reserved just for you and we NEVER "double book". Q- Cosmetic Dentistry? Implant Dentistry? A- The American Dental Association recognizes nine specialties of dentistry. Prosthodontics is one of the nine specialties recognized by the ADA. While the ADA does not recognize Implant or Cosmetic dentistry as specialties, restorative dentists who are cosmetic dentists place high values on recreating restorations and smile make-overs using the most advanced materials and methods available. Implant Dentists are usually surgeons who hold specialties in recognized areas as Oral Surgery, Periodontology and Prosthodontics and sometimes general dentists who have taken short programs in either the surgical phase or restoration phase of implants. Dr. Feit (a recognized specialist in Prosthodontics) and Dr. Jonas (a recognized leading General Dentist) are 'Cosmetic Dentists' and Implant Dentists as well. We always strive to restore patients with the most beautiful, natural and durable restorations available. We routinely restore patients worn and discolored smiles with Porcelain Veneers and Composite Bondings, as well as placing natural looking fillings as a patient needs them. No longer do you need to live with dark fillings in your mouth. In our office, if it is determined that implant dentistry is the best option for you, Dr. Feit or Dr. Jonas will plan what type of implant, where the implant is best suited and how an implant is to be restored. We plan the entire situation from start to finish discussing everything with you. Once a plan is in place we will introduce you to a dental implant surgeon to place the implant. We have been working with these professionals for 16 years. These specialists are either Oral Surgeons or Periodontists. They are highly trained and exquisitely knowledgeable in the surgical phase of implant restorations. Our office will stay in control of your situation and we will follow you closely until you implants are ready to be restored in our office. We will restore your implants and continue to monitor these restorations and your entire mouth as you return for recall exams and cleanings. We have restored thousands of implants over the years. We have found that by concentrating only on the restorative aspect we can provide the best solutions. Come in - we are sure you will agree. Q- I have spacing between my teeth, chipped teeth or teeth that don't respond to bleaching. What can I do? A- Once it is determined that there are no other underlying issues, Porcelain Veneers, Composite bonding and Porcelain Crowns may be indicated to restore your smile to a beautiful vibrant look. All materials are matched to adjacent shades of teeth unless a full 'make-over' is desired. Q- Why do teeth need crowns? A- A crown (cap) is a permanent covering that fits over an original tooth that is either decayed, damaged, or cracked. A crown may be recommended to strengthen a tooth, restore a tooth to its original shape or to improve the appearance of a tooth. New Technology allows us to fabricate crowns completely from resin or porcelain (free of metals) ensuring the most lifelike results.